Four out of five fantasy authors agree: orcs are bad. Combine this rather simplistic notion with tower defense (and gloss over the fact that the player is creating his or her own army of unholy killing machines) and you've got Orc Genocide. The basic idea follows the super-popular tower defense genre pretty closely, but infuses it with more strategy and tactics than we've seen in a long time. The multiplayer options - both local and over a wireless LAN - are icing on the proverbial cake. The game is free and should work with just about any Android device out there. 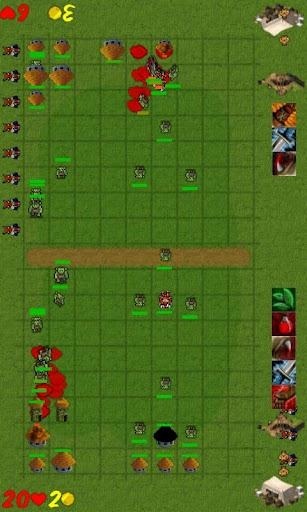 Orc Genocide is deceptively simple: Build up your spawn points and defensive structures, and try to keep your human or computer opponent from breaking through your lines. 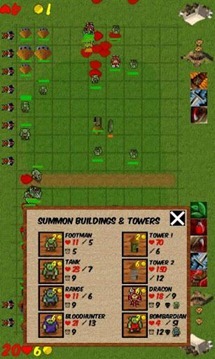 The strategy comes into play with placement, as in any tower defense game, but you've also got battlefield-wide upgrades to armor, health, weapons, et cetera. 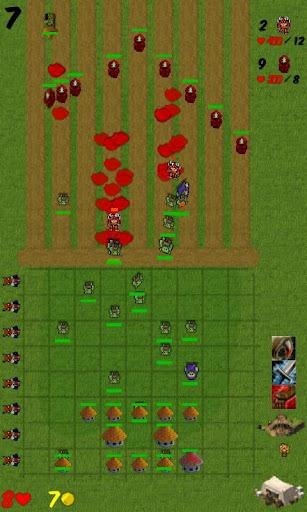 You can spawn more villagers to increase your coffers, and unleash a wave of undead guards in an emergency. The battlefield layout makes Orc Genocide perfect for head-to-head multiplayer on a tablet. If you're feeling generous, the sprite-based graphics are "retro". If you're not, they're uglier than an Uruk-Hai. But passing up on this free title on looks alone would be a shame, especially if you're a fan of strategy or defense games.